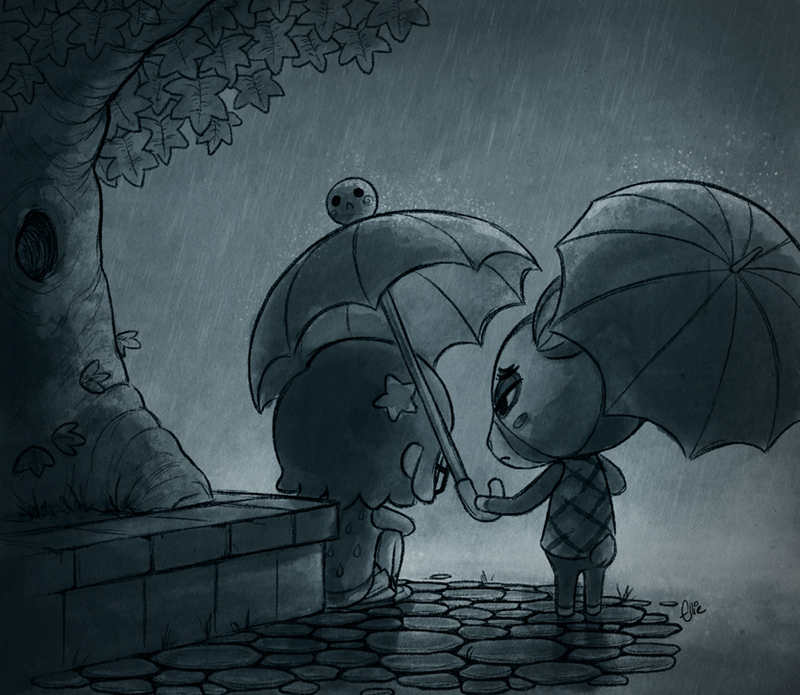 A deeper look at what Animal Crossing means to us. A chime rings out. You hear distant bells resonating the first few notes to the Mighty Morphin Power Rangers, signaling that its now 11 AM. Its Saturday, the day is yours to do with as you please. Do you go down to the river and catch fish or redecorate your living room? After a moment of contemplation, you decide to visit your good friend Tex. This will be the hardest decision you make today. As nice as all of this sounds, its not real life. It's the daily motions of Animal Crossing, a popular slice of life game franchise by Nintendo. In it, the player controls a small, cute avatar of themselves as they own a home in an animal-populated town, doing jobs to make money and interacting with the other citizens. It also followed a real-life day-night cycle. Time would pass in the game as much as in real life. All of these things combined to make an immersive and comforting take on video games. But it has been a while since the last Animal Crossing game was released. Seven years, if we don't include the mobile game. And seven years is enough time for people to start getting antsy. Any time the franchise would enter a discussion, odds are it would eventually turn to the interested parties expressing a yearning for a new game. Their prayers would be answered in September of 2018 when Nintendo announced a new Animal Crossing game for the Nintendo Switch. Now that yearning has evolved into something greater, a burning need to the game. But no details about the game have been released since, so people are left to simmer in their excitement. In an objective light, Animal Crossing sounds mild and slow to many folks. Some might even call it boring. So why are people so intensely enthusiastic about a new game? What hidden addiction does it offer to make people cry out in such a fervent nature? This was an issue I found myself wondering because I was one of them. I craved the upcoming title, but I couldn't quite place why. I knew I wasn't the only one, either. So I talked to some folks. I asked them about their time with Animal Crossing and what the franchise meant to them. They all had one reason or another for the game series to be special to them. The stories I heard ranged from "coping with the overwhelming nature of college" to "a place of safety during my transition." Some people enjoyed the sense of independence and control. Others loved the creative freedom. But despite being such different reasons, it all came back to the same general conclusion. Animal Crossing isn't about the single ideas and gameplay options. Its about what the game represents as a whole. Whether its a place free from judgment or somewhere that goes at whatever pace you set, It represents everything we the player once had in our lives that made it easy. And now that were older, it represents everything we no longer have, but wish we did. 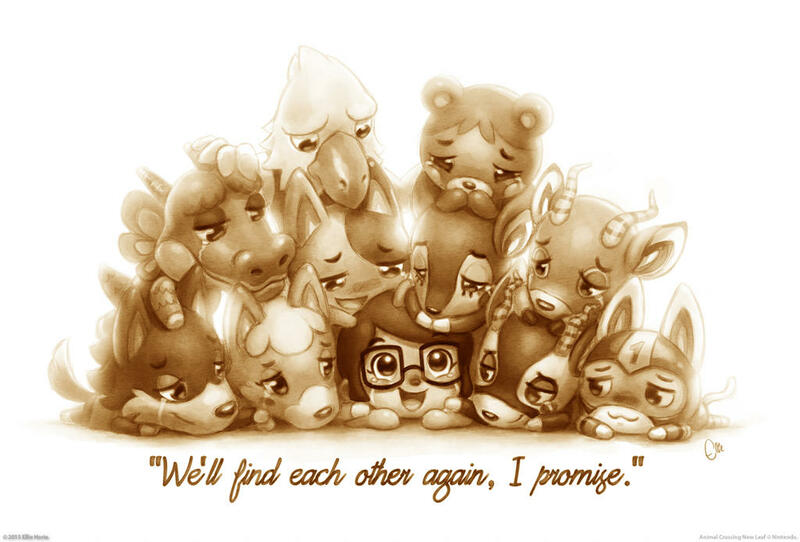 Animal Crossing is comfort, encouragement, and nostalgia. Its the closest thing we can get to what we need. Take Josh for example. Josh is 24, working as assistant manager for a big chain retailer. His associate's degree in political science was little to no help in the job market, and his student loan debt is only about halfway paid off. He makes enough money to get buy, but not much past that. Josh worries about things like affording medical insurance and car repairs. Josh finds taxes complicated and confusing, but he deals with it anyway, because that's what adulthood is like. Josh doesn't have too many friends anymore. After college, many of them moved to different areas or took jobs with different shifts than his. It's hard to have the time and energy to get everyone together anymore. Josh worries about this, but he doesn't know how to deal with that. Josh is stressed out and overwhelmed. Then Josh plays Animal Crossing. Upon logging into the game, Josh steps out of his very own two-story home. It wasn't too hard to get it since the local realtor offered him a zero-interest, no down payment loan with no minimum payments. The roof is pink. Its his favorite color, and hes glad that none of the other villagers give him a hard time for it. His favorite pastime in the game is to go fishing. Collecting all the unique and rare fish makes him feel accomplished, especially when they're a species that the local museum doesn't have. It also provides him with a respectable income, selling whatever fish he doesn't need. After that, Josh will often visit the other villagers. Tex, Frobert, and Kidd are his favorites. He knows they're just digital characters, but they have such fun and engaging personalities. And theyre always glad to see him and enjoy hanging out with him. Josh may not be a real person, but his story isn't that different from the ones I heard. In Animal Crossing, there aren't hateful internet strangers. There are no debts or taxes. There's no time limits or responsibilities. Everything is there for you to enjoy however you want, at whatever pace you want. Its a warm, reassuring comfort in a hard-to-handle world. That's why we need Animal Crossing. Because life is hard. Because were tired, or sad, or afraid. Because sometimes we just need something nice. To everyone that feels like this: my heart goes out to you. I understand how difficult even just keeping on can be and I hope you make it through it. In less than a year, a new Animal Crossing game will be released and we can go back to that cheerful, friendly world we miss. Maybe you're not going through any of this and you just enjoy the cute atmosphere and calm music. And that's great! But for many of us, the game provides an invaluable escape. And we cant wait to escape again. Id like to give a special thanks to everyone I spoke with while writing this article. They all provided valuable insight into what Animal Crossing meant to them, and I couldn't have written this without their help.